Aerial view of the wild river flows in the valley. Copter flying over the green fields. 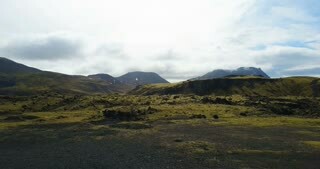 Lava mountains in Iceland. 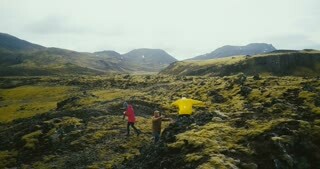 Aerial view of the tourists walking on the lava field in Iceland. 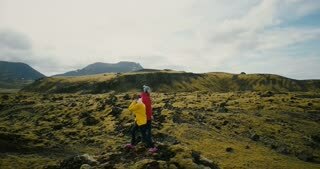 Two woman hiking on the mountain, enjoying the hobby. 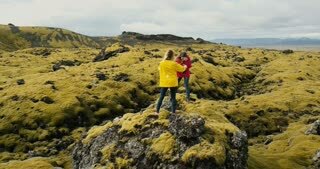 Aerial view of tourists in lava field in Iceland. Copter moving away from friends, selfie on drone. Beautiful landscape.